The Advance Advenger® rider-scrubber with EcoFlex™ system delivers flexible deep, green cleaning, allowing users to easily match scrubber performance to the job at hand. With the ability to meet green cleaning standards and deliver a superior, versatile performance with the EcoFlex System, the Advenger rider-scrubber offers the ultimate cleaning solution. The EcoFlex System’s onboard detergent-dispensing feature allows operators to quickly select the right cleaning mode for whatever the job demands, delivering a flexible, superior cleaning performance for hard floors while meeting green cleaning standards. 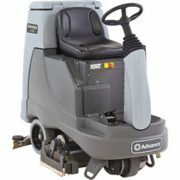 The Advance CS7000 sweeper-scrubbers deliver unprecedented cleaning performance, fuel efficiency and operational range on one sustainable platform. With three models built on the high-efficiency electric drive system, the CS7000 offers two energy-efficient Hybrid drive models and one ePower™ battery model to slash fuel costs and double operating run time. The CS7000 Hybrid models use up to 50 percent less fuel consumption, significantly reducing high fuel costs and harmful fuel emissions. The ePower battery model offers operators an extended run time of up to 5.4-hours on a single battery charge versus traditional 3.5-hour run times on competing machines. 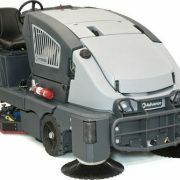 The SW8000™ Rider Sweeper provides the widest dust controlled sweeping path in the industry with a 50-inch main broom and Advance’s unique DustGuard™ side broom dust suppression system. DustGuard guarantees unprecedented dust control by attacking fugitive dust with powerful side brooms. Compared to conventional rider sweepers, which control dust at the main broom only, the SW8000 with DustGuard increases sweeping productivity by over 70 percent. 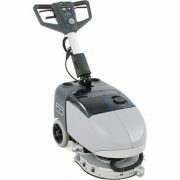 The Advance SC350 Micro Scrubber provides efficient, versatile cleaning performance. 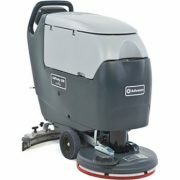 Featuring a fully adjustable rotating deck, the SC350 is the industry’s first compact unit capable of delivering effective cleaning results in both forward and backward directions. 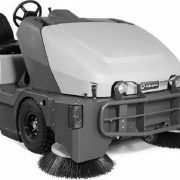 Providing simultaneous clean and dry capabilities in all directions, the SC350 provides an ideal scrubbing option for diverse cleaning jobs, ranging from kitchens to facility entryways.